Hong Kong immigration is rife with visa gossip and rumours so I am pleased this question has been raised as it allows me to slay an old dragon once and for all! Thanks ever so much for your amazing website. I have never seen anything like this before – and I can’t believe it’s all free! I have been looking around for details about the Job Seekers Visa For Hong Kong but can’t find anything. Does this visa actually exist? I have been told by a couple of people that I can come and live here for 3 months no questions asked as I look for a job, then swap that job seekers visa over to a work visa. In Hong Kong there is no such animal as a job seekers visa, that’s the bottom line! This old chestnut has been kicking around for quite some time now and I’m glad that this question has been raised in the way that it has because it allows me to deal with it. I think there’s a certain amount of confusion between the immigration status that you get as a visitor at the border for those nationals that are entitled to a 90-day period of stay when they arrive. And potentially also under the working holiday visa, which allows you to work for 90 days for any single employer during the 12-month period that you hold such a working holiday visa. So in a sense, you might be confusing the visitor visa and the working holiday visa, which both avail the ability to look for work. 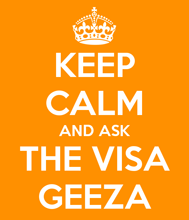 Given that seeking a job in Hong Kong as a visitor and indeed as a working holiday visa holder is permitted activity. Whilst if you’re a visitor visa holder looking for a job, it isn’t permitted activity to take up any employment offer that results from you looking for that work. But to suggest that there is a discrete immigration status called a job seekers visa is erroneous. And it could possibly be a confusion from some other jurisdiction that that perhaps avails that type of permission to be in Hong Kong to look for work. So, there is no such thing as a job seekers visa. Come as a visitor – it is permitted activities to look for work as a visitor. If you have a working holiday visa, in any event, you can look for work. And indeed you can take up employment for up to three months with a single employer during the currency of that visa. But job seekers visa itself, no, doesn’t exist. I have been made redundant but my wife is working – can we swap our Hong Kong employment and dependant visas around so I can become dependant on her? The Shenzhen Shuttle – is this a good way to secure a extension to your Hong Kong visitor visa?